Anna Sui’s cosmetics are always so appealing, with their rock-romance design (rose-shaped gloss compacts!) and their range of colors from pastels to brights (with plenty of sparkle), and the limited edition products for the 2009 holiday season offer an extra dose of sweetness and shine. There are five limited edition items in this line, also called the “Crystal Angel” collection. The stars of the group are two palettes shaped like old-fashioned hand mirrors; they flip open to reveal mirrors and five-pan color selections inside. The lip color palette includes five shades, from delicate to bold: Wish Pink (translucent soft pink), Crystal Yellow (clear yellow with gold pearl and red shimmer), Angel Orange (neutral orange), Glossy Red (translucent red), and Cherry Pink (bright pink). A lip brush is also enclosed. The eye color palette is a violet-purple range, which is typical Anna Sui but also very on-trend. One shadow is a cream shadow; it’s called Crystal Gold (pearlized gold highlighter). The four powder shades are Mysterious Purple (with blue shimmer), Milky Green (light green with gold shimmer), Cocoa Brown (deep brown with reddish shimmer), and Cupid Pink (light pink with red shimmer). An applicator is included. Each palette retails for $45. For holiday nails, two kits are available. Each flowered pouch contains two nail colors, a patterned emery board, and a small container of rhinestones and tiny nail jewels. Set 01, in a purple theme, includes polishes in Aurora Purple (deep purple with “aurora” shimmer in red, pink, and silver) and Angel Pink (sheer pink with pink and silver shimmer). Set 02, in a red theme, includes polishes in Angel Rose (a creamy reddish pink) and Tiara Pink (light pink with pink sparkles) and Each set is priced at $40. 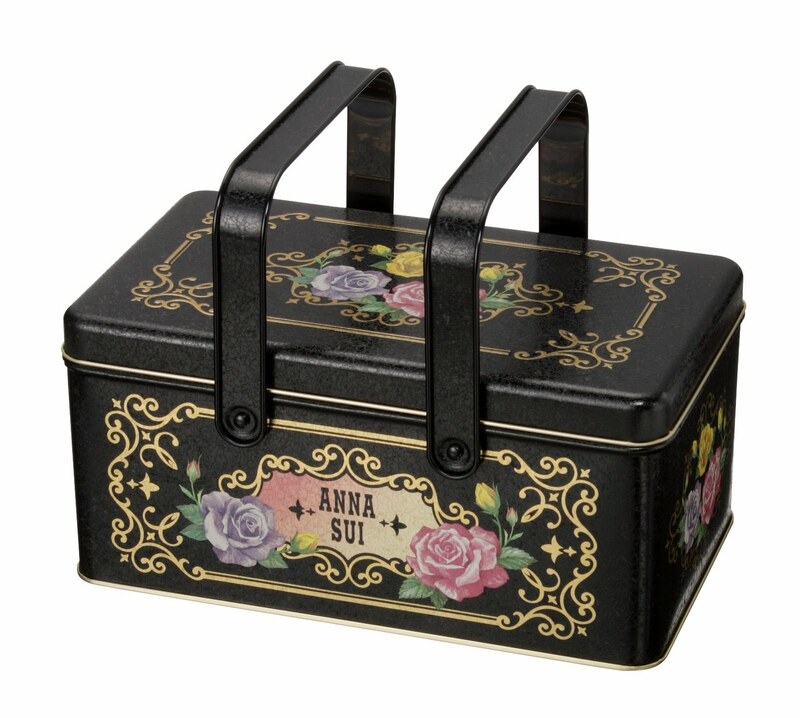 If you’re looking for something to hold your Anna Sui cosmetics, nail polishes, or jewelry, you just might love the flowered Antique Vanity Box. It’s made of lightweight metal, with a removable plastic tray inside. (Confession: I’ve already caved on one of these.) It sells for $25. And, in case you want to share the holiday love, this collection even offers two heart-shaped cards, a red one and a purple one. They’re elaborate, layered “pop-ups” in Anna Sui’s typical neo-Victorian style. They cost $8 each. 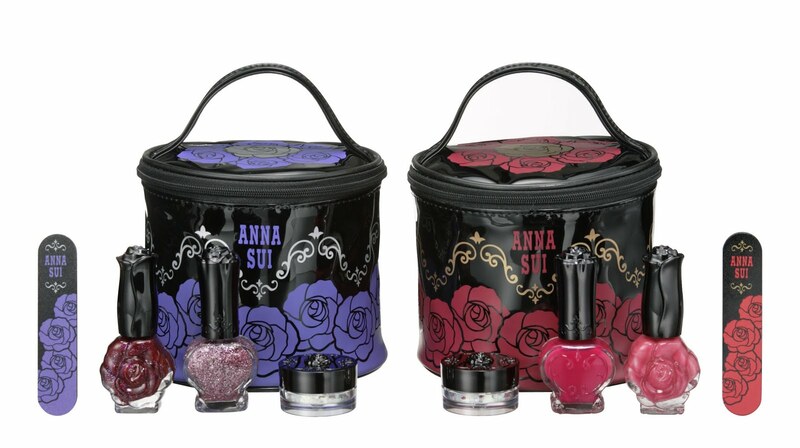 In the United States, this collection is available exclusively at the Anna Sui boutique located at 113 Greene Street, New York, NY 10012. For more information, contact the boutique at (212) 941-8406. Stock is limited! Cosmetics images courtesy of Anna Sui. Dress from Fall 2009 Ready collection, via Style.com. The title of this post is a song lyric from The Velvet Underground. Such great packaging and products. I just wish Anna Sui cosmetics were available at Nordstrom's or Sephora. Gerri, you're right! They would make such fun gifts, especially the nail kits. Melanie, remember when Sephora used to carry this line?! I wish they still did... so people outside NYC could see it. Darn it! Now I have to get one of those hand mirrors ASAP! I love both, argh! Talk about adorable packaging, hers is the best. Thanks for this post. Gorgeous stuff !! Where can you buy Anna Sui cosmetics in the US? 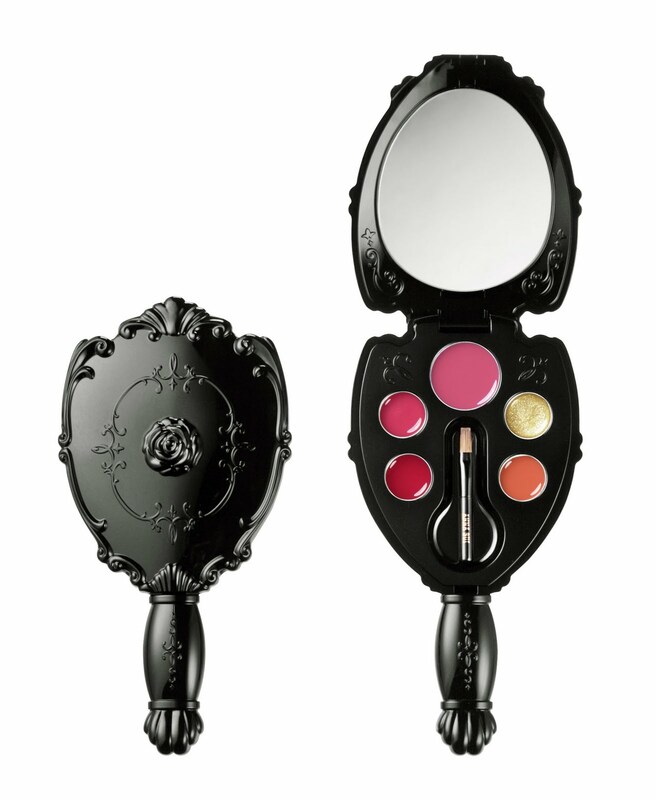 I love Anna Sui make-up! And the people at the SOHO Anna Sui are just gems so I have a tendency to keep buying . . .
Definitely considering the mirror palettes. Thanks for the heads up! Twizler, I know you're a fan of vintagey mirrors in general!! Zulfa, I believe the A Sui boutique in NYC is the only store in the US that carries the cosmetics... if anyone knows otherwise, please jump in! Some of the line is available online, through Strawberry.net, for example. Aya, the staff at the SoHo boutique are all wonderful! Just one more reason I enjoy browsing there. I love the Anna Sui Vanity Box! Elegant and Stylish.